Who wouldn't want a sundae for breakfast ? 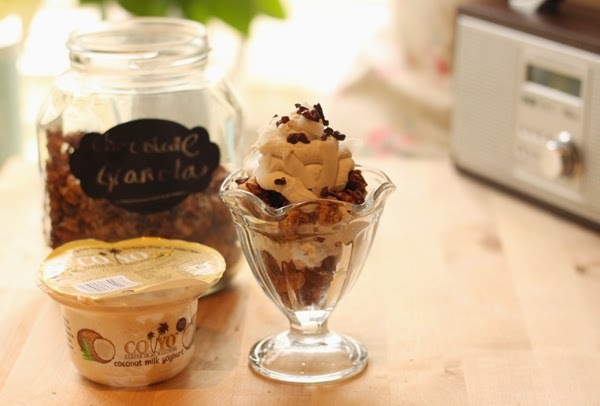 Especially a salty, caramel, chocolate granola & coconut yogurt sundae.... that's what I was going to call it, but I thought it was a bit long ! This is SO easy to make and would be the perfect breakfast to serve up to guests on a sunday morning if they didn't fancy a fry up ! 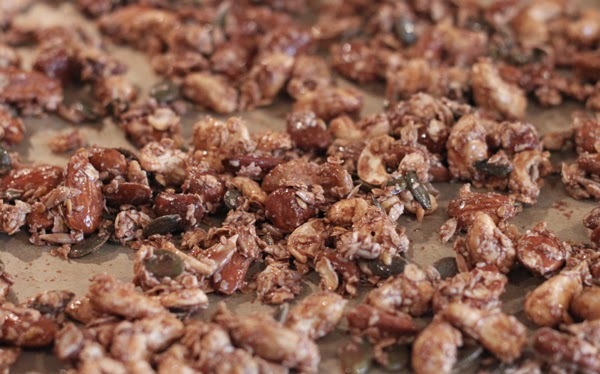 A selection of nuts - I used almonds, pecans, cashews & hazelnuts and I had a seed mix which included sunflower seeds and pumpkin seeds. 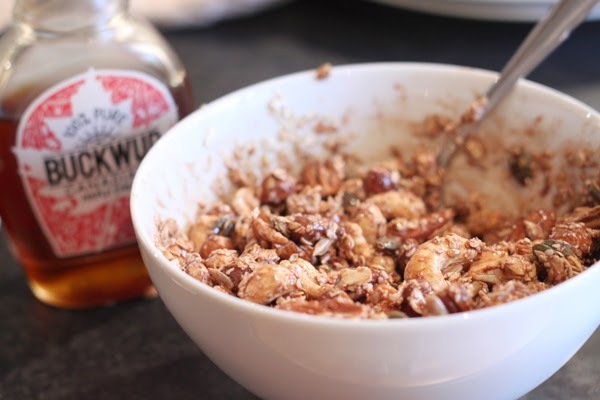 Pop everything in to a bowl and mix throughly. Spread it nice and evenly on a baking tray and pop in the over on about 150o C for 10 minutes. Then let it completely cool. 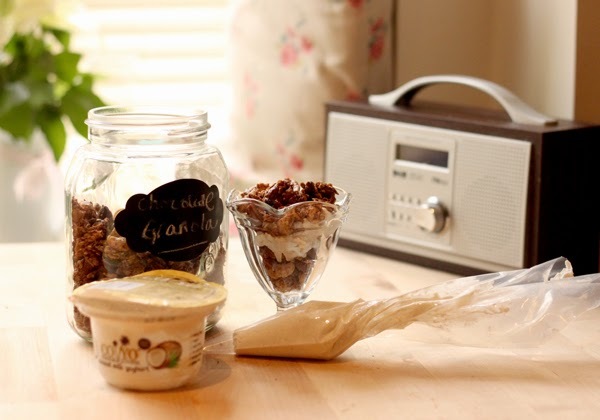 Then in a nice dessert glass, layer up the granola with the COYO yogurt - it might be easier to use a piping bag or you can just dollop it on with a spoon ! 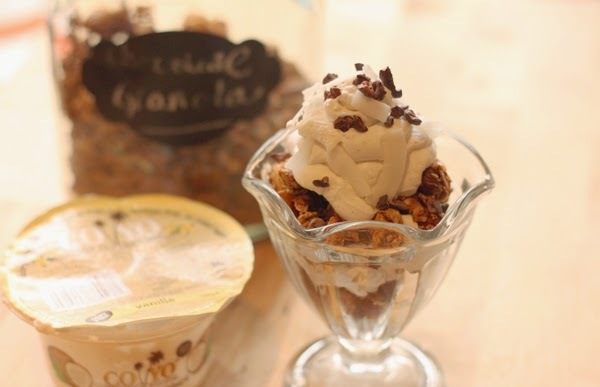 There you have it - a yummy, crunchy, creamy breakfast sundae ! Super good for you and SO yummy! Don't you want to just tuck in ?